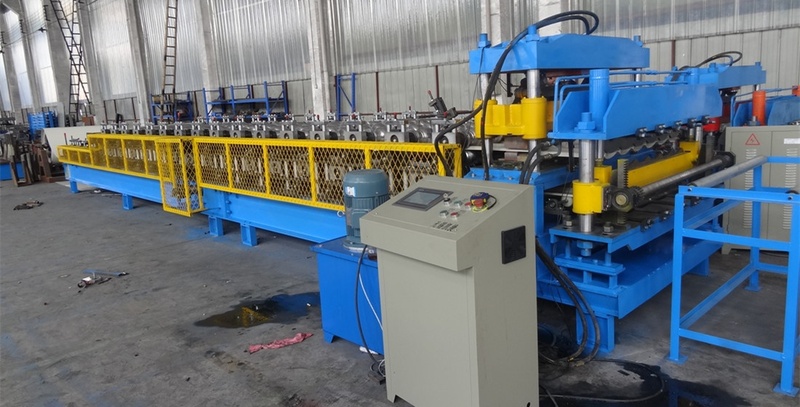 Roofing Sheet Roll Forming Machine Price is based on the design of the Roofing Sheet you want to produce. The Machine Components of the line you choose. and also the speed of the line you prefer. Siding Wall Structure. A classic design, strong and economic. Iron Cast Arch Stands. Quality design and stronger. Chain: which is economic and widely used in roofing sheet roll forming machine industry. Gear: Less use, expensive than chain, and need a good maintainance. Gear Box: As for roofing sheet roll forming machine is lower capacity, so gear box transmission use less. Some user choose double layer roll forming machine to reduce the roofing sheet roll forming machine price. and also save factory space. Normally. Believe Industry only have one design for cutoff device design. which is more precision and good surface. PLC Brand: Panasonic, Siemens. Mitsubishi. Schneider electric components or Zhengtai. Normally, Believe Industry adopt Panasonic PLC as the main controlled panel. A simple collection table is manual and cheaper. Believe Industry also have auto stacker for automatically load the sheet after cutting and stack it. 6 meter length and 12 meters length for choosing. Contact us for more details about roofing sheet roll forming machines and related machines.